My family and I are huge Disney fans. 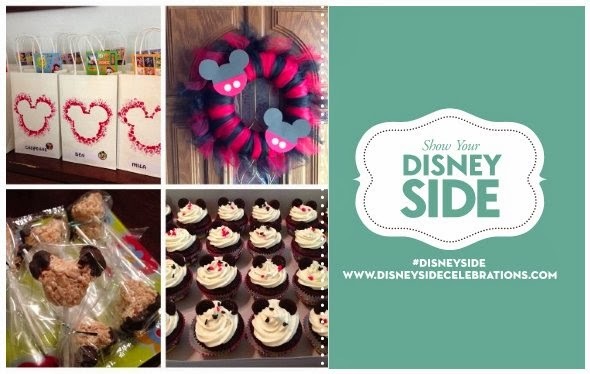 We recently had the opportunity to share our love for Disney by hosting a party to encourage others to show their Disney Side. Hosts of the Disney Side @Home Celebration parties were sent a package that included everything we needed to throw a party. 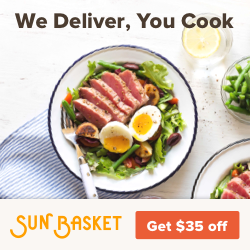 You can read about what was included in the package here. Ever since the package came, I had so many ideas swirling in my mind about how I wanted to throw the party. There were different theme ideas, decoration ideas, food ideas and game ideas. I even started a Pinterest board to try and get myself organized. 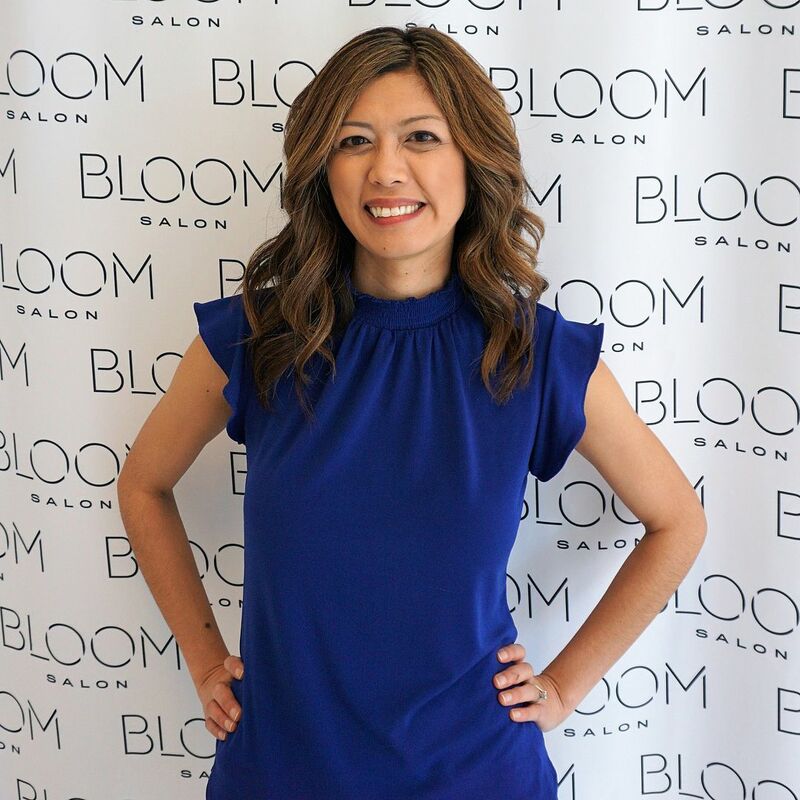 But, with work and kids and just life in general, I didn't have the time to incorporate everything I wanted to in the party. But, all in all, we had a great time and I can't thank Disney Parks and MomSelect (and all the other sponsors!) enough for giving me the opportunity to host this party! One of the first things I worked on was making invitations. 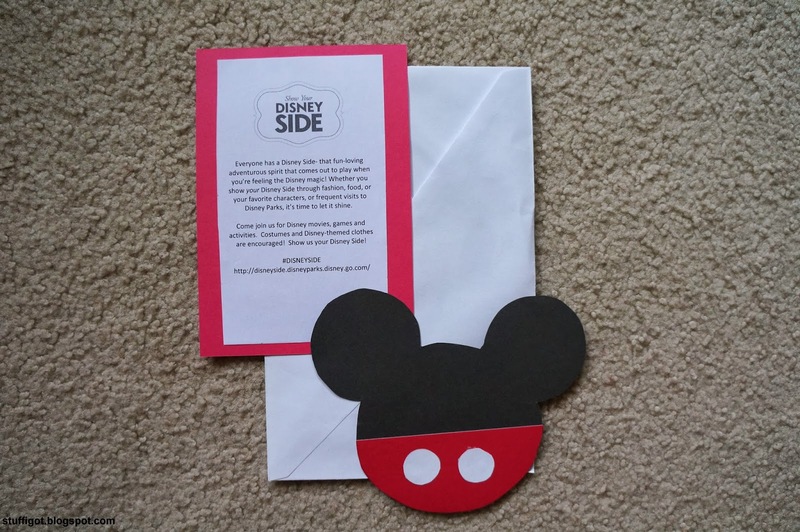 Since the majority of the items in the Disney Side package was Mickey-themed, I decided to make a Mickey Mouse invitation. I don't have a Cricut or similar machine to help me cut shapes out, so I had to trace things and cut them out by hand. I found a Mickey Mouse head template and traced it onto black cardstock. I cut them out and then cut half circles out of red cardstock. 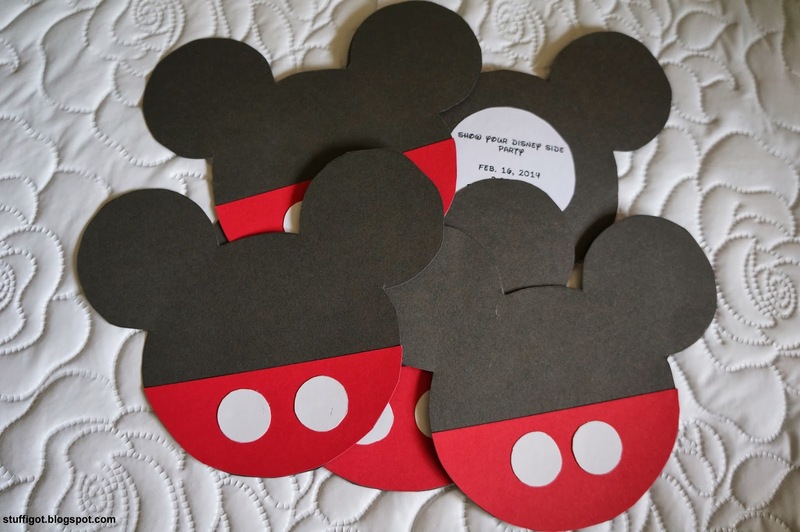 I glued them onto the black cardstock and cut out small circles from white cardstock for Mickey's buttons. I printed out party information using an Avery template and cut and pasted them onto the back of the Mickey invites. I also printed out something to explain what Disney Side was and pasted that onto another piece of cardstock to include in the envelope. Next, I worked on decorations. The party kit did include some hanging decorations, but I wanted to put up more things. After searching on Pinterest for decorating ideas, I decided on a wreath to hang on the front door. I had never made a wreath before and didn't have much time. 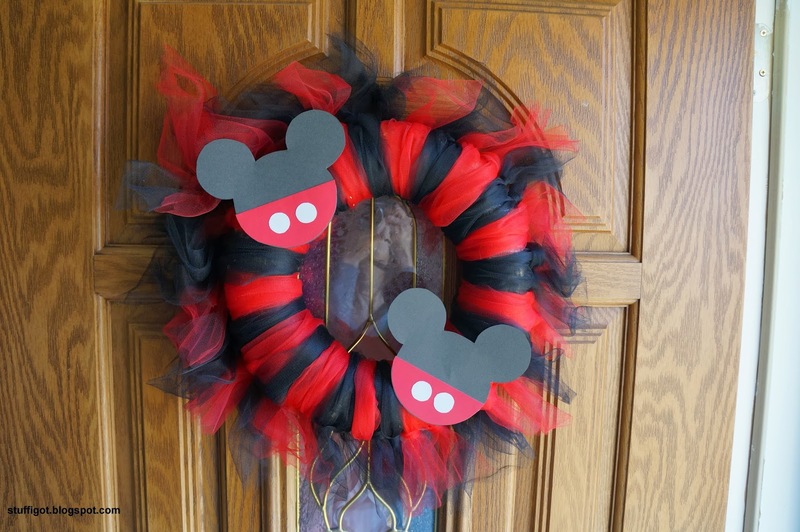 I decided on a tulle wreath using Mickey Mouse colors. I watched a few tutorials on YouTube and thought it wouldn't be too hard to do. I bought a straw wreath from Michael's and two rolls of tulle in red and black. I cut strips about 26-28" inches long and wrapped them around the wreath. The straw was so crumbly and looking back, I should have wrapped it first with fabric or ribbon! But, I think it turned out well. I even made a couple more Mickey heads to stick to it. I also wanted to make hanging paper garland. 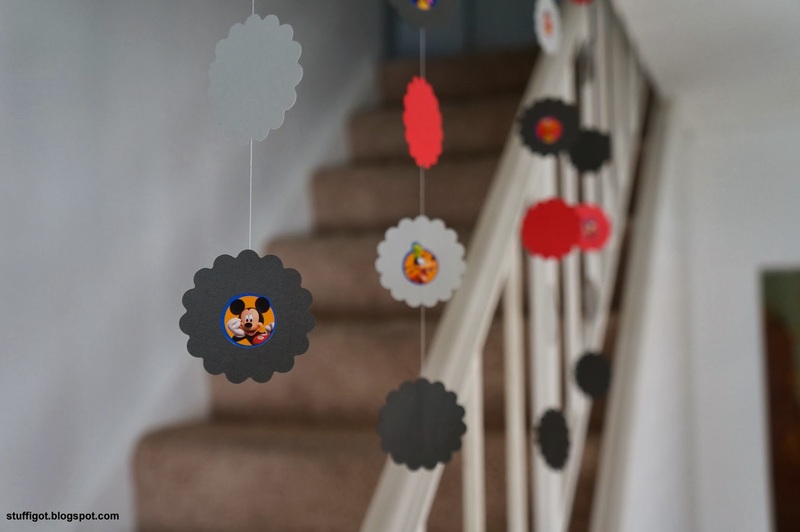 At first, I was going to make them Mickey-shaped, but after thinking about how I would have to cut each and every Mickey shape out by hand, I decided to find a paper punch instead. I couldn't find a Mickey-shaped one that was big enough, so I just bought a different shape. All the tutorials that I watched or read about involved sewing the paper with a sewing machine. Since I didn't have a sewing machine and didn't have the time or patience to sew them by hand, I just used tape and a glue stick to string the paper together. I had Mickey Mouse Clubhouse stickers that I placed on each piece of paper. I thought it came out cute! Next, I worked on the goody bags. I wanted them to be special. I saw a really cute idea on Pinterest by Clumsy Crafter. She made a Heart Tote Bag using a heart-shaped template, a pencil and paint. I thought I could replicate her technique, but instead use a Mickey head template. It was pretty easy to do. I, then, printed out each child's name in a Disney font and glued that to the bag and put a Disney character sticker on. 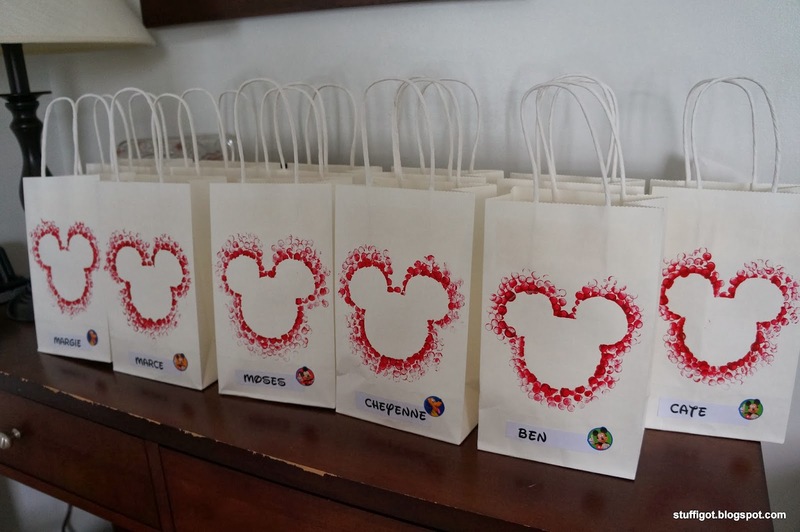 I filled the goody bags with Disney stickers, temporary tattoos, Disney-themed crayons, Disney Valentine pretzels, Ocean Spray Craisins (included in the party kit), and Disney candy (Party City sells pinata candy in a Mickey theme). I had encouraged guests to come in costume or to wear Disney-themed clothing. I knew some people would arrive not wearing anything Disney. 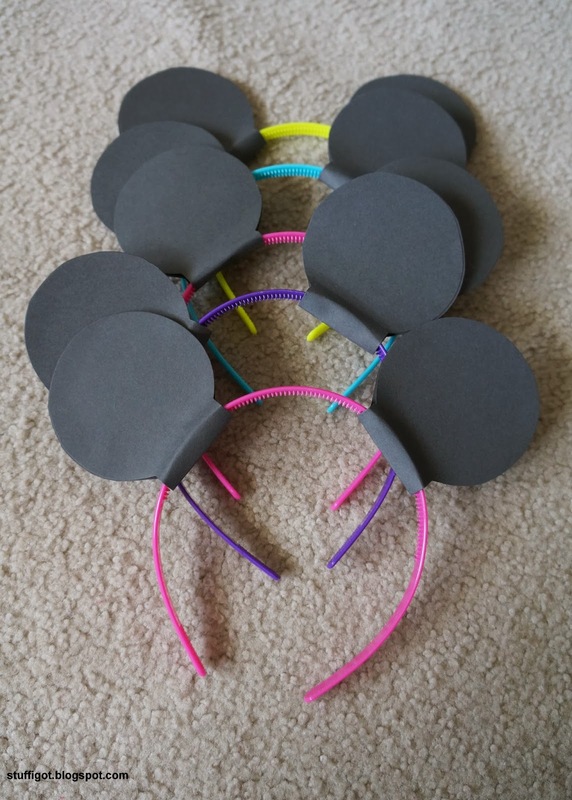 So, I also wanted to make some Mickey ears for them to wear. But, I had only decided on this the day before the party! I didn't have time to make anything elaborate. I sent my husband out to the dollar store to buy some black headbands, but ha all he could find were girly pink and purple ones. I cut ears out of black cardstock and just glued them to the headbands. 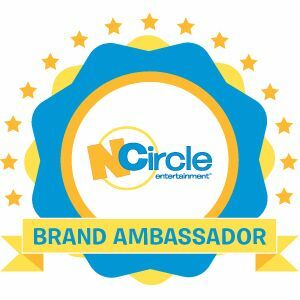 Read Part 2 to see how our party went!